"Face it," my best friend declared with annoyance, "you're lost!" "Look, I've been over this map a bazillion times!" She spun it around, and buried her nose into the squiggly, ink colored, lines again, "Unless it has a defect, I'm pretty sure it's not up this road. I think we need to go back and take that left turn." She gestured behind us. What was supposed to be a fun little trip out of town, turned out to be a: 'we took a wrong turn, and have no clue where we are. Maybe we should stop and ask for directions?' kind of trip. "You think we have to turn back?" I sighed, "Well.. maybe you're right." "You bet 'cha I'm right! I'm the one with the map silly girl!" She laughed and waved it in my direction. I retaliated, "Fine! Why don't you take the wheel, I'd like to see YOU try driving us out of the mess!" "Oh, I don't think you want me driving us anywhere..." She smiled. Oh yes, we both remember that summer of Drivers Ed. Memories we won't soon forget. "Okay," I suggested, "How about stopping somewhere and asking someone for the name of this road. Then we can take a closer look at that map. Maybe it is out of date or something." "Or," she advised, "We could just find a place that has wifi, and I can just use my iPod to figure out where we are." I laughed at how simply easy that plan was, "You and your iPod." She grinned, "Yup. So, keep an eye out for a place that looks like a coffee shop, they usually have a wifi connection. And if we buy some coffee or something they should let us use it." Completely free lancing it, we drove around searching for a place to target our mission for wifi. Though, it wasn't a very busy area, the roads were still hard to get around on. "Oh! There!" She pointed to a building sign that read, "DiCappuccino", with a fancy little image of a coffee mug on it. It looked like a good place to start. As our eyes scanned the modest little coffee shop, I carefully pulled up into the nearly empty parking lot. "Alrighty!" She jumped out, as I put the car in park. "If this place is the real deal, we should be able to get what we're looking for." She stuck her hand into her pocket, checking for her iPod as she closed her door. "I've got money, so I could go and get us some drinks. Even if they don't have wifi, I think we could use the coffee anyway." As I locked up the car, she laughed and said, "Always!" A little bell ringed when we opened the glass door. The air was definitely heavy with the fresh scent of coffee and chocolate. I gasped, "This place smells good!" "Of course, it's a coffee shop, silly! It's supposed to smell this way." She teased me. It's true, I don't go into coffee shops very often. In fact, maybe only once or twice in my life. But now, I realized, I should probably come to these places more often. "Hey," She whispered, "I'm gonna go and look for a bathroom. You can go ahead to get the coffee and stuff, I'll be right back." "Wait, what do you want me to get for you?" "Oh yeah!" She paused for a moment, her eyes flickering over to the menu board, "Just get me a dirty chai frappe, single." "Okay," We exchanged smiles as she headed off on her quest. Walking to the counter to order drinks, I noticed a lady using her laptop and a few others chatting with hot coffee in their hands. Not very many people here today, I thought. Approaching the counter, I realized there was nobody behind the register. "Hello?" I called towards the back room. "Hi!" Someone responded from within the room, "I'll be there in a sec!" I waited for him to come out, and as I waited I glanced at the blackboard. Covered in graceful swirls and fancy letters, was a list of different kinds of coffees, lattes, frappes, and of course, cappuccinos. So much to choose from! I went through the names trying to decided on something that sounded the most delicious. "Okay, what can I get you?" Finally emerging from the back room, he smiled at me. "Oh, uhhhh..." I flustered at his sight. Oh my, I really need to come to these places more often! "My friend, uhhhh, wants a..." Oh darn it! What did she want? "Oh yeah! A dirty chai frappe." "Ok, just a single shot in that? And will it be a small, medium or large?" He continued to smile at me, and I didn't dare look him straight in the eyes, "Yeah, just a single shot, and make it a medium." A smile of my own crept out, I felt it totally giving away my blushing cheeks. So I looked down at my purse making a lame excuse to look way. Resting his chin in his hands, he put his elbows on the counter in front of me, and asked, "What about you? What do you want?" I was forced to make eye contact, and my stomach felt like it was left at the top of a rollercoaster. "Me?" "Yeah. YOU." He laughed, "Don't you want something to drink? Or maybe something to eat?" "Well," I pondered what I had seen on the board, "I guess, I could just have coffee." "I don't know. What about Irish Creme?" "Hmmm..." He narrowed his eyes at me, "is that really what you want?" Oh gosh, why did he have to make it sound like I needed to confess something personal, "Well, to be honest, I've never really ordered from a coffee place before... Actually I don't drink much coffee." I shied away from him, embarrassed by the fact. "Ahhh, that explains it." He winked at me, "See, usually coffee people already know what they like and don't like. So, they march in here and demand whatever's to their taste...even if it's not here on the board. Otherwise they glance at the menu and choose whatever looks close." "Oh, really? I didn't think it was possible to notice that kind of thing." I cursed myself for replying with something that sounded so cheesy. "Actually, I notice a lot of things." His smile sparkled back at me. I really had no response, I'm not a very social person, and he was just way to overwhelming. I glanced back at the door, wishing I could escape. "I'll tell you what," he interrupted my thoughts, "since you're sorta new to the world of coffee, I'm going to suggest that you try my special drink." I turned back to him, "And what's that?" I smiled remembering the name on the sign outside, "Why do you call it that?" "Well, it's a Cappuccino right? Like an Almond Roca, but I added my own secret ingredient." He stopped to make sure I was still following. "And my last name is DiCaprio, so... it's called the DiCappuccino." He smirked and ran his hand through his hair, "It's cheesy, I know. Laugh if you want... but you have to taste it first." "Okay, I'll try it." I smiled back, he really gave me no choice but to except his offer. "Alright, that's: one chai frappuccino with an added shot of espresso, and a large DiCappuccino." He winked at me again. Ohhh... I wished he'd stop doing that to me. "And uh... how much is that?" I fumbled inside my purse. I looked up confused, "What?" "I said, 'nothing' ...It's on me." He grinned with delight. I looked away, blushing red again, "Thanks"
"No problem. Will these be to-go?" "Okay, you can have a seat if you'd like, and I'll bring those right out." I smiled at him once more, then FINALLY! I turned my back and walked away. Dear God, I was shaking like a leaf and my hands were sweating. I took a deep breath and sat at a table to wait. "Hey girly!" My friend returned and sat across from me, "Did you order?" "Aaaand do they have wifi here?" "Oh darn! I completely forgot to ask!" I looked back at the counter where I could see him working on our drinks. Did I dare go back to ask him? "Woah, what happened to you?" She nudged my shoulder as if I was contagious. "I know you better than that! You're smiling!" "Yeah, so? It's polite to smile." "No silly! I mean, you're smiling." "Soooo, what did I miss?" Displaying her own little smile, she batted her eye lashes at me, "I want to know everything!" "No, you did not miss anything." I struggled to hold back my so called 'smile'. "You are withholding information missy... Fine," She leaned back in her chair and crossed her arms, "Go back and ask for wifi." Was she daring me? "Well I..."
She shot me her 'I told you so' glare. "Oh, shush!" I kicked her under the table and got up to go back to the counter. I tucked my hair behind my ear, and swallowed nervously, "Hi..."
Interrupted by my voice he stopped and looked up at me, "Hello again!" "Yeah, um. I forgot to ask if uhh..." I looked back briefly at my friend who gave me a big eager grin, "...If you uhh, have wifi." "Yeah, I'm pretty sure I have a few things you want," He smirked. What the heck was that supposed to mean!?! "But yes," He continued, "We have wifi. All you need as a password to log in. Today it's, casting-call." "Okay," I stepped back, "Thanks"
"If you need anything else, I'm here." He turned back to the drinks, "Oh wait! Do you want whip on these?" I nodded with my smile that now started to hurt my cheeks, "Sure." "Everybody does... K, I'm almost done." "Ok," I took another step back, then turned back to my friend. "Yes, there's wifi here." I plopped down into my chair and relayed the password. "See, that wasn't so hard," She smiled as she pulled out her iPod and began poking at the screen. Without looking at me she mumbled, "He's cute." She glanced at me, and then nodded towards his direction, "I said..."
"I know what you said!" "Uhhuh..." She looked like she wanted to tease me further but held her tongue. Instead, she turned back to her magic iPod. I slouched down in my chair and smiled with blissful content. He is cute. REALLY cute. I could watch him smile all day long. I wanted to look back to admire him again... but, what would happen if he noticed me looking? "No," I told myself, "just sit down and pretend he doesn't exist." I tried to think about something else, but my mind wandered again, "Since, he makes lattes and cappuccinos all day... He must take the time to taste them. So I could imagine those flavors would linger on his breath, and then if he kissed someone..."
"Oh!" My friend jumped, shattering my day dream to pieces, "I know where we are now!" "Oh yeah?" I blinked, trying to pull myself back to reality, "How far are we from town?" She made a puzzled face at her glowing screen, "Not far actually. We're just around the corner from downtown." "Oh, well that's a relief. I wonder how we got so lost, if we're not that far from town?" "Yeah," She beamed at me, "...But at least you know where to go to get Mr. Hot Cup of Coffee." She was pleased with herself, and almost blurted out another comment, when he suddenly walked up, "Here you go ladies," He carefully placed the very full cups on the table, "One dirty chai frappe," he passed to my friend, "and one large DiCappuccino." He made eye contact with me, and I noticed for the first time his eyes were bright blue. "Enjoy your drinks." "Thanks," My friend spoke for us. He nodded politely and walked back towards the counter. My friend suddenly cracked up, "Wait! ...What did you get?" "I don't know," I laughed nervously, "He kinda ordered it for me." "Already!?" Her eyes got really big with surprised shock. She relaxed into a mocking smirk, "Only couples know what to order each other." "Oh, be quiet!" I rolled my eyes at her. She took a swig of her chai and swished it around in her mouth, "Huh, not bad. How's yours?" I took a cautious sip, "Woah!" I exclaimed, licking my lips, "It's very good!" I tipped the cup to my mouth again, craving more of its' amazing deliciousness. "I bet..." She smiled teasingly at me, "...he probably spit in it or something, no wonder it was a large." Nearly choking, I gasped at her, "Would you please STOP IT!" Putting my cup down only slightly worried, I glanced nervously back at the counter. I hope he didn't hear any part of our conversation. "Okay fine, but I'm just zipping my lips until we get back to the car... Or did you wanna stick around and hope he'll take you home with him?" "Ohmygosh! I'm gonna kill you!" I was so furious with her, but for some reason I was still smiling, "Seriously, you're being so cruel!" "I know." She laughed sipping her coffee again, and scrunched up her face in excitement, "Isn't it fun." "Okay that's it, lets go." Her lips curved into a mischievous smile, "I'll wait for you while you go give him a kiss goodbye." "Uhg! I'm done." I picked up my drink and headed for the front door. "No seriously," She followed me out, her hands full, one carrying her cup of chai and in the other her iPod, "I'll wait for you. Go back inside, at least ask for his name ...I don't know." "Really?" Stopping in front of the car, I spun around to face her, "You think I should?" "Yes, you silly. You're obviously crushing on him." She tried to imitated my flirty face. "You're impossible." I groaned at her. "No, you're impossible! Just Go! ...Or I'm gonna do it for you." She faked walking back inside. She giggled, "Well, go already! You don't have all day missy." "Okay, okay, I'm going!" I brushed past her and walked back inside. The door closed behind me and my heart stopped as I realized what I was about to do. This was silly, I shouldn't jump the gun on him. I'll just come back later and if he remembers me, maybe we could exchange names or something... and then I'll visit again and we'll just go from there. I started back. "Hi." He walked up to me, "Did you forget something?" Oh great! What am I supposed to say now??? "No, uhh... I wanted to ask you something, but I..."
"Oh yeah? How was the DiCappuccino?" he smiled with anticipation as he gestured to the styrofoam cup I was still holding. "Oh, it's very good! I love it," I felt very embarrassed. "See," He winked, "I said you had to taste it first." Why does he do that!?! "Yes, you were right." "So, does this mean you'll come back for more?" "Maybe I will..." I swayed a bit as if still deciding, "...Mr. DiCaprio." "Well, I'll look forward to your visits." He looked away and almost seemed a little shy himself. Mr. cool and composed, 'Can I take Your Order', was forgotten. My confidence soared as I realized he probably felt just like me. "By the way," He said, "My name is Leonardo. Leonardo DiCaprio." "Nice to meet you Leonardo. But, I've gotta go, my friend is waiting for me." I started for the door. "Wait, just one more thing," He stepped awkwardly between me and the door, "Um, next time you come," he hesitated bashfully, "my DiCappuccinos' are on sale for the price of your name." "Really?" A small laugh escaped me, "Oh my! I've never heard that one before." Getting used to the dizzying feeling of the butterflies in my stomach, I wasn't afraid to attempt looking him in the eyes, "Sounds like a deal I can't miss out on." "No, I guess not huh," He stepped away from the door. "So, I'll see you later?" "Yeah," My face lit up into a smile once more, as I reached for the door to leave the building, "Later." Back in the car, I sat behind the wheel in silence, still with 'that smile' on my lips. "Soooo," My friend pushed me, " Did you ask for his name? What did he say? Did you exchange numbers? Did he hold your hand? Did you plan a date? Did he propose to you? Did you get married? Did you-?" "NO!" I whacked her before she could finish, "None of that happened." She teased, "Not yet anyway." "No, he asked if I liked the drink he made me. I said yes, and then he asked if I'd come back again... then he told me his name. And we said goodbye." I looked her in the eyes, "That's all." "Well," She sighed, "That's a good place to begin." I laughed at her, "What am I going to do with you?" I put a hand to my forehead slightly annoyed. "You could start by taking me home," She paused with a knowing smile, "...But we don't have to leave right away. Especially, if little miss love struck wants to stick around." Her fingers poked into my shoulder. I let out an exasperated breath as I started the car, "Oh please, just tell me where to turn." "Fine." She pretended to give up, but I had a feeling I'd hear more from her soon, "It's not far, we'll be back on familiar roads in no time." As I drove out from the parking lot, my DiCappuccino in the cup holder, I glanced back at the little building. Yes, I'll definitely be coming back. Slowly I began to open my eyes, but the suns' light was so bright, I nearly closed them again. Colors blurred and danced around me. The hot, coarse sand I was laid upon, crawled uncomfortably into my wet hair. I don't remember much. Except water, water, water. Salty ocean water, in my mouth, in my lungs... I can't breathe! Heavy darkness surrounded me as I panicked for air. Suddenly, I felt a gentle pressure on my lips, and a warm breath forced its way into my body. It took a moment, but I finally reeled over and began choking and violently coughing up seawater imprisoned in my lungs. "Easy, easy!" Said a soothing male voice beside me, "You okay?" Am I okay? I hate the taste of salt water! And I now it's all up my nose! "You gave me quite a scare." He put his hands around me, "Here, let me help you." "No, its okay." I sputtered and gagged still feeling suffocated. I relaxed a little and turned over to look up at him. And for the second time, I lost my breath. He was stunning. Covered in sparkling drops of water, he had bright blue eyes, with dirty blond hair and a smile I'll never forget. Literally, I had a loss for words. He grinned down at me, "You're welcome." "Shhhh." He placed his finger against my salty lips, "A simple 'thank you' would be just fine." Ignoring my aching muscles, I placed my hand over his fingers, "Thank you." And then I smiled. It was probably the biggest smile I've ever made in my life. "Well, you know," he confessed as he intertwined our fingers, "It's not every day I get to give a beautiful girl like you the 'kiss of life'. " We both found ourselves laughing at how ridicules that sounded. What could've turned out to be an awkward conversation, he spontaneously made amusing. I like him. He asked, "So, are you okay?" "Yeah. I just feel a little tired." I started to sit up, but my head lurched into a quick spin. Ugh! I put a hand to my forehead feeling nauseated. "Easy there, Mermaid." He grabbed my shoulders, "You still haven't gotten used to land yet." "No, no. I'm fine..." But the truth was, I felt horrible. None the less, I had to get up and go home. Wait! Home? Where was home? "I don't think so." He laid me down again on my back, "I want you to take a minute to relax and calm down." He gave me this look with his intense eyes that voiced louder than words: 'he meant what he said'. Embarrassment washed over me, never have I needed the help of a strange before, let alone this very cute stranger. "I'm sorry! I don't mean to be a bother to you." "No! Don't apologize." He pick up my hands again and fondled my fingers, "I can imagine nearly drowning in the ocean like that is a very traumatic thing to experience..." He grinned playfully, "...It was definitely traumatic just for me to jump in after you." I stifled a laugh that threatened to escape, but at the same time, I was comforted by his sympathy. "Was anybody else with you in the water?" I had to think about that. Was I with someone or was I alone? I couldn't remember! "What about your family? Are they around?" Worry continued to snake through me, as I searched desperately for a memory. "I-I don't know, I can't seem to remember anything!" "Alright, how about an easy one... what's your name?" My name? Okay, I know this one! What was my name!?! "I... I don't...! I can't remember!" "That's okay." He brushed a wandering strand of wet hair from my face, "I'm sure it'll all come back to you when you're not looking for it." He winked. Oh my! Butterflies suddenly took flight in my stomach. "By the way, I'm Leonardo. But you can just call me Leo." "Hi... Leo," I giggled girlishly, "You have such a cute nickname." "Really? I've never heard that one before." "Yeah. It kinda is... 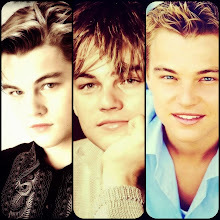 Leo." I tried to keep from cracking up even more, but I couldn't help it. "Oh you think that's funny huh!?!" He poked his fingers playfully into my side attempting to tickle me. "No!" I shrieked at the sensation, "No, please! It's not-! It wasn't funny!" "Okay. if you insist." He stopped and leaned over, burying the palm of his hand in the golden sand on the other side of me. "But I... !" He flashed a teasing grin that forced me to hesitate as I protested against his ways of manipulation. "But that's not fair!" I made a weak effort to whack his shoulder in revenge. It was his turn to laugh, he's obviously enjoying my temporary helplessness way too much. But gosh, his laugh is like an angels'. For a brief moment, silence hung between us. I suddenly realized his body hovered over mine, and it sent my heart leaping with a foreign desire that somehow seemed natural. Leo whispered, "You wanna know what I think is cute?" "Your hair," His fingers found their way into my sand filled hair and lazily toyed with it, "I noticed it curls when it dries in the sun." I blushed red, catching an overwhelming emotion. This boy likes me! What was I supposed to say? Heck, I don't even know him! "Well, this is just a thought," he broke my silence, "would you wanna stay with me at my place for a while just until you get back on your feet... or at least till you remember your name and stuff?" To his house? Alone? Just the two of us? My face fell into a nervous expression, unsure how to approach such a bold suggestion. "Don't worry," He bopped my nose with his finger, "I've got a spare room. Besides, It's gonna get late soon, and I don't really want to just leave you here. Do you think you'd be okay?" I stopped to consider my options. "I don't know. Maybe I'll feel better if you gave me that 'kiss of life' again." "Oh, is that so! Well," He jested, "looks to me as if you've had entirely too much salt water. Speaking of, we gotta get you out of those wet cloths! How about coming with me to get some?" "Oh, yes," I shivered, recognizing the fact that I'm still soaking wet in freezing ocean water. "I'd like that." "Okay, should I carry my mermaid or do you think you can walk?" "No, I-I can do it, I can walk." "Fine you can walk then." He pretended to be hurt. "The damsel must have her way, but at least let me help you up." I giggled in spite of myself, and offered him my hands. Gently, he lifted me to my feet. At first, I thought I was going to be okay! Then... ugh! My head reeled in dizzy spins, I gasped in alarm, as I began to keel over. He swiftly caught me around the waist, and I clung to his arm to keep from falling... Not that I needed to. Embarrassment and foolishness rushed through me again. Wrapped in each others' arms, me stumbling like a drunk, we must have looked ridiculous! Leo was the first to crack into a laugh, "You got it?" "A little." A laugh of my own escaped. I looked up into his deep blue eyes and startled when I discovered they were looking into mine. For the third time today, I was drowning. Why does he always make me feel so mesmerized? So, wanting, and yet so satisfied. I've met many other guys before... but somehow he was special. Very Special. "You keep this up," He teased me, "and you just might need that 'kiss of life' again after all." "No," still holding tight to Leo, I leaned up as far as I could and whispered into his ear, "I want to save it." I pulled back to meet his breathtaking gaze again. He seemed to be battling his own sea of thoughts as his eyes danced over mine. He leaned in closer to me, and whispered back, "Ok Mermaid." Without another word, he scooped me up into his arms and carried me. Content to wrap my arms around his neck, I laid my head on his shoulder and soaked it all in. I'm safe now. Even though I may never know who I was before, at that moment, I was Mermaid, and it was enough.